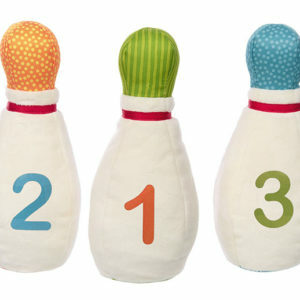 PlanToys stands for sustainability and the communication of values. 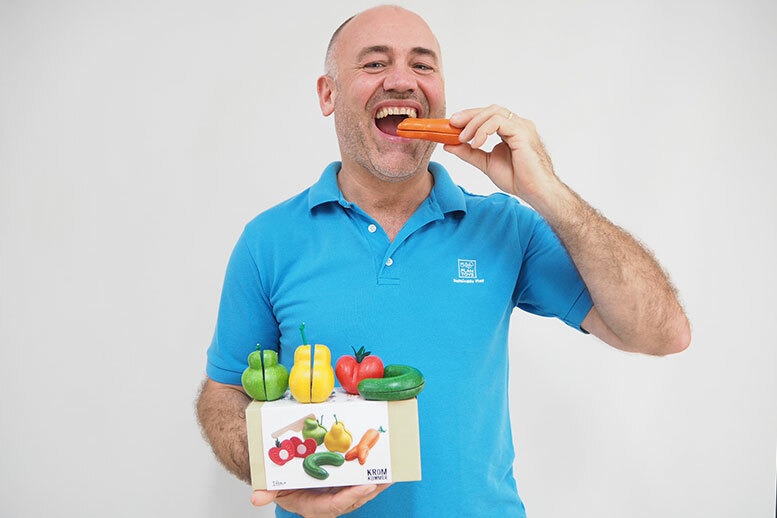 Alain De Rauw, International Sales Director of PlanToys, spoke with us about the responsibility of companies and the importance of informing children about sustainability. With its Wonky Fruit and Vegetables series in cooperation with the Dutch social company Kromkommer, the Thai toy manufacturer PlanToys brings sustainable education directly into the children’s room. The purpose of this toy is to draw attention to the waste of food due to its appearance. 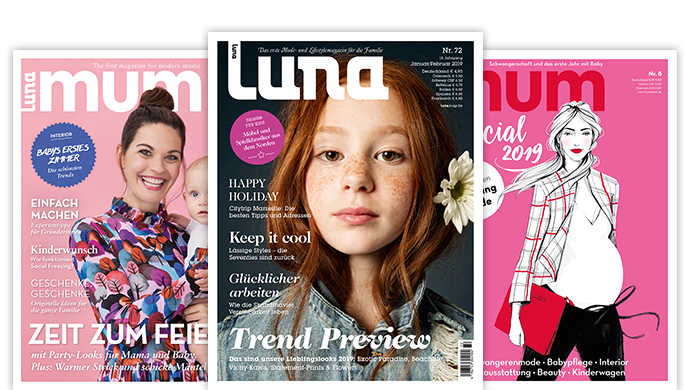 Luna Journal spoke with Alain De Rauw, International Sales Director of PlanToys, about sustainability and the responsibility that companies bear in this respect. Mr de Rauw, how do you define sustainability? Alain De Rauw, International Sales Director of PlanToys: Sustainability is easy to define. If you want to be sustainable or work as sustainably as possible, you need to see the big picture. Right from the start, when you start your business, the structure of the company, the sustainable way of thinking, the social responsibility and how you see yourself in the future should be clearly defined. PlanToys is a Thai company founded in 1981 by Vitool Viraponsavan to stop pollution in Thailand. You have to know that Thailand has the largest rubber tree plantation in the world. These trees were planted because of their rubber. After about 25 years, Mother Nature stops producing quality rubber. Then the farmers burn the entire plantation to plant new rubber trees and obtain new rubber. The pollution caused by the burning of these trees was terrible. Vitool wanted to help the children in their development by giving them wooden toys – toys made from these rubber trees. We have been making wooden toys since 1981 and never cut down a tree from the forest, but only use recycled wood from plantations. He was the first man to use this wood. Today nobody burns it anymore. So we are more than happy that he started this business. Is your company FSC certified? We are not an FSC certified company and we are proud of it. Because if you are FSC certified, you have to destroy the forest first. Since we never cut down a tree from the forest, but only use recycled rubber tree wood from plantations, we are better than FSC companies. We never treat the wood with chemicals. We dry the wood by placing it in a large oven to dry it as naturally as possible. It’s time consuming and expensive, but we don’t care. Every single toy we make is made in our own factory. We don’t have a third-party supplier. We have our factory in the middle of the plantations to avoid long distances. This allows us to keep the ecological footprint as low as possible. 73 percent of our resources are within 30 kilometers of our factory! The Wonky Fruits and Vegetables are made from PlanWood. What exactly is PlanWood? When we make wooden toys, a lot of sawdust is produced. This is called waste. We hate waste and create something new from the waste. So we tried many things to find a way to use this sawdust. After a few years we have finally found a way and created what we call PlanWood. PlanWood is the sawdust that we mix with 100 percent organic pigments from flowers, herbs, fruits and vegetables. We mix these two materials with less than 1 percent non-formaldehyde natural E-Zero adhesive. This makes us the first and still only company that can form wood without the addition of chemicals. That’s why we can also make wooden toys for the water and that’s unique. To give you an impression: if we make a product from solid wood, we emit about 1 kilogram of CO2. If we make the same product from PlanWood, it’s only 450 grams. What other measures are implemented at PlanToys to produce as sustainably as possible? Our packaging, boxes and catalogues are made of recycled paper and printed with soy ink. We generate our own energy by using all wood residues such as roots and branches. We have our own power plant. All the energy we need for the factory is generated from it. All the people who work in our factory are people and families who live in the villages around our factory and go home every day. And not just once a year, as is customary in China during the Chinese New Year. Over the past ten years, the PlanToys Group has planted over 300,000 trees in areas of north-eastern Thailand where people destroyed forests long ago. As a company, we try to give something back to nature. In our province (Trang) we also donate a lot of toys for schools and kindergartens. And if the children break these products, we have a kind of “toy doctor” who repairs these toys if possible. We also support a wonderful organization called “Mom Made Toys”. It is not my intention to put PlanToys in the spotlight. I point this out because I am convinced that we should all support this kind of programs. I know that many companies do very little or nothing, but when they do something, they make a big announcement to the press to get attention. We do not do that, we simply help! All our distributors buy the products directly from our factory in Thailand. Since 2014 we also have an European warehouse based in Belgium to serve the European market. So if you urgently need something that is sold out, you need to make an inventory of this stock. We do not accept that one of our distributors in Europe will fly in something extra, because the pollution caused by these freight flights must be avoided. If a final consumer has a product that he bought on a second-hand market and some parts are missing or broken, we always try to help these people when they ask us to buy or get a spare part. Our employees have put a lot of passion and love into making these toys, so we want to give these toys a very long life. That’s why we do it all. The Wonky Fruits and Vegetables take sustainability to a new level. How did you come up with this idea? We’re actually trying to make people aware that it’s so sad that millions of tons of fruit or vegetables that don’t have the “perfect” shape are thrown away. At the same time, people are dying in some places on this wonderful planet because they don’t have food. Together with the Dutch organisation Kromkommer, we decided that we should do something together to make people, especially children, aware of this. This is how it all started and we are very proud of it, because we feel that we are doing more than just making toys again. It is a statement. How important is it to make children aware of consumption and sustainability? “Better children for a better world” is our slogan. We must teach children how to behave and how to live in harmony with nature. The children will then also teach or correct their parents or grandparents. And we really believe that they can change the world. I firmly believe that in order to be creative in our world today, children must experience playing with real toys! How do customers, especially children, accept the “not immaculate” toy? I have to tell you that we are very satisfied with the reaction of the professionals. When they saw that we were planning to make this set, everyone said it was a great idea. From the first minute we made the announcement, we had a lot of end users who congratulated us on the idea and asked when and where they could buy this set. In some cities, when we showed the cucumber to the children, they couldn’t tell us what it was. They didn’t realize it was a cucumber. Isn’t that sad? We will do everything we can to make the children aware of this imperfect fruit and vegetable and to make them understand that it tastes just like its “perfect” counterparts. More and more customers are demanding sustainable products and are willing to pay more accordingly. How should companies respond to these demands? In fact, we see that more and more consumers are demanding sustainable products and want to pay a little more for them. The market has also noticed this and many of them only use “sustainability” as a marketing tool and that is sad. Many companies say that by using FSC wood they are sustainable because many end users know the FSC label and think that it will be okay and sustainable. We as a company try to inspire people and companies to do the same as we do. So what I can suggest to companies is that if they are really sustainable, they should open their kitchen and show it. They should talk about the details and inform consumers. Transparency is very important because people are no longer naive. If they want to find out how sustainable a company is, they will find out sooner or later. In one of the last articles you wrote, you wrote about a company that claims to be one of the biggest manufacturers in the world – and I can confirm that it is. But it’s not the biggest manufacturer of sustainable toys. Some people are business-oriented. PlanToys is not driven by business, but by our sentence: “Better children for a better world”. We also try to teach people to buy “less, but better”. How much social responsibility do you think companies have on the sustainability issue? I’m afraid that this is still little for most companies. I don’t want to say that PlanToys is the only company, but I have been in the industry for almost 30 years and have seen many things. So outwardly, many seem to be socially responsible, but reality is far from that. PlanToys has had a sustainable mission from the beginning. Which measures to minimize the environmental impact would you name as one of your greatest successes? 1981 First company in the world to manufacture wooden toys from recycled rubber wood. From 2011 PlanWood will be used as a new production technology with sawdust. Thanks to this technology, we have a credit of 40,000 tons of carbon. 73 percent of our resources are within 30 kilometers of the factory. What are the limits of a sustainable economy in your company? We have our limits in financial terms. Investing in finding the most sustainable way of working and doing things costs a lot. We know that our mission will never penetrate mass markets. That is not our goal either. Our products should be available in off- and online shops that understand our message and want to become our ambassadors. People who want to take the time to share our message. So we have a limit on space and turnover, but that’s fine. As long as we can touch this niche, we are happy. Less, but better. More than 30 years ago you were a pioneer in sustainable toys. What trends in the industry were you able to observe during this time? It wasn’t easy being a pioneer. In the beginning, some people in the industry laughed and didn’t take PlanToys seriously. That has always been a problem. From day one, we were trendsetters. And then after a few years we could see that they were trying to copy us in terms of products, communication and trends. I remember in 2011 when we showed PlanWood for the first time in Nuremberg during the International Toy Fair: people thought that this was the end of PlanToys because this material was used. But a few years later a lot of people from the industry try to work with us on the material or figure out how to make it. Funny. But as I mentioned before, we like to inspire people. Today the whole industry has great respect for PlanToys and Vitool. PlanToys means something. After the success of Wonky Fruits & Vegetables – Are you planning similar projects in the future? Absolutely. If we can help make children and parents aware of something we can change to create a better world, we will.